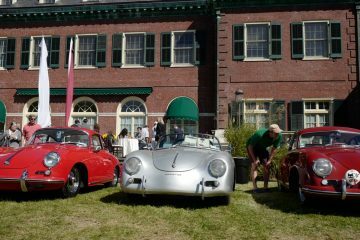 Our third DE event of the season brings us to the spectacular Le Circuit Mont-Tremblant near Montreal. Registration will open on 3/15. Last year we filled all of the available 150 slots in about a week and this year will likely beat that. If you are interested in attending this popular event, and don’t want to go on the wait list, we strongly recommend you register AND PAY as soon as possible (remember, registering and NOT paying does not reserve your spot for the event). If we have more registrants than we can let in decisions on who gets in will be based on the date the registration fee is paid. Registration for this event opened March 15th at Club Registration. The annual Music Festival opens on July 5th! Note: For important information on noise level requirements and resulting run group limitations see: Mont-Tremblant Noise Levels. Hotel information for LCMT has been updated for 2019. Touchette Tire will be supporting our event again this year, providing tires and services as in the past. If you want tires waiting for you at LCMT please contact Manuel Solis at 514-977-8951 (cell) as soon as possible. The sooner he gets orders, the sooner he can make sure you have everything you need.